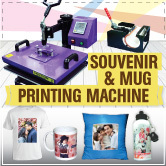 Have you ever wondered on how the printing on T-shirts, mugs, and pillows are produced? 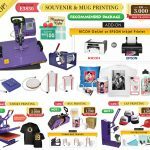 What is the secret behind these printing products? The secret lies in the usage of heat press machine. All machines are equipped with the timer and also buzzer (except for semi-automatic machine). For the digital heat press machine, it will display a digital display timer in which you will able to see the timer counting seconds on the screen. But for the non-digital heat press machine, it requires you to set up the timer manually. Once the time has set, the buzzer will go off signaling the operator that the process of heat transferring has completed. GO for MANUAL or AUTO RELEASE? 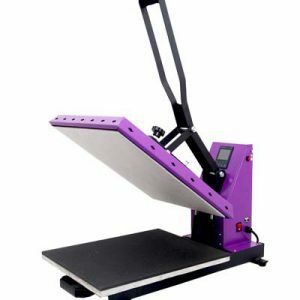 The difference between a manual heat press and auto release is its operating manner. For manual, you need to set the setting for the temperature and determine the pressure for the materials you use. 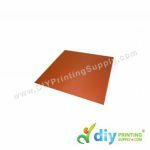 This includes the operating of heat platen. 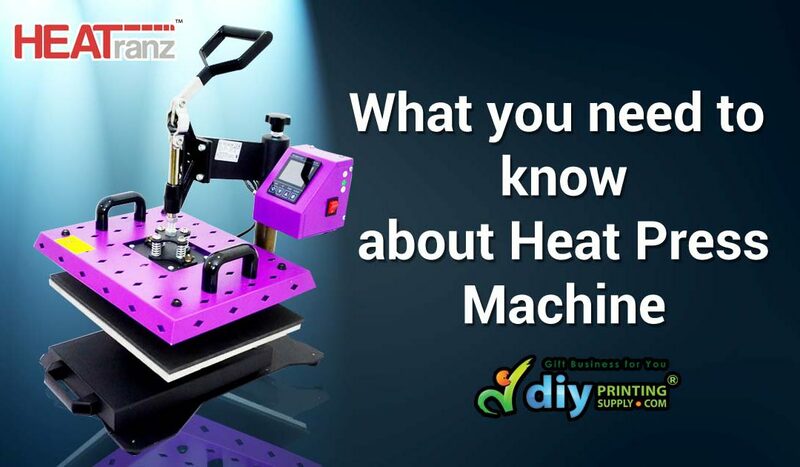 Just as the machine finishes pressing, you need to lift the heat platen. For Automatic, you need to pre program the settings before you handle the machine. In comparison to manual, the auto release machine allows the press will be released automatically. Well, it would depend on your needs. 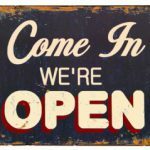 MANUAL is the best option for you who are just starting out in the printing business because it is not costly. 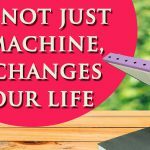 But if you have a big scale of printing business and create a mass production of products, you can opt for AUTO because it eases your work load and surely will not cause you fatigue as much as manual. AUTO release machine costs more than the manual. But with its easy to handle features, it will worth your time and effort. 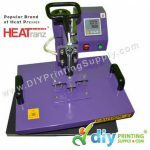 Clamshell or swing-away are the types of heat press machines available in the market. 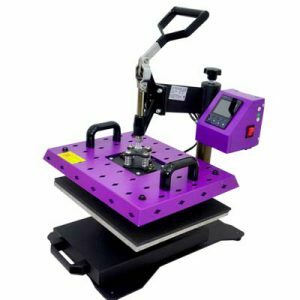 The usage of clamshell heat press machine is by lifting the heat platen using the handle with its position facing directly in front of the operator. It is easy to handle while loading the T-shirt in and out. It also does not take a lot of space to work. The drawback is in terms of its heat platen. You have to pay extra care when handling it since the heat platen is directly above your work area. For the swing-away machine, the heat platen can be removed away from the base. (Hence; its name; swing). So the operator can have a direct view on pressed product. Some of the advantages of swing-away is it is useful in printing thick items such as awards and etc. The drawback for this type of machine is it takes up a lot of space. So you will require a huge space to handle the machine. The size of heat press varies from the small size 20 cm x 20 cm until the large press size such as 58 x 38 cm or 50 cm x 40 cm. Most of the heat press available in the market is in standard size which is 38 cm x 38 cm. 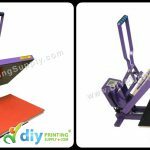 But if you are going to use the heat press for lots of products and for a long time, you may choose heat press machines with large press size. At the end, it would depend on what you need and what is going to be useful for your business.